Na imprensa internacional da especialidade, Portugal tem vindo a ser considerado o melhor país para passar férias. Eis a opinião de dois alunos da professora Isabel Morim. Portugal is the best holiday destination for the summer and spring. A specialist in holidays says: “Portugal is a country with good food and the better places to live and hotels.” Aveiro and Lisbon have the best cakes. In the Algarve there are beautiful beaches with warm water. Porto has many monuments and statues and it´s one of two centres of country with 4000 people per km2. It has also the delicious “francesinhas”. People who prefer stress free places should go to the east of country. I prefer a quieter place with good beaches and restaurants. So, for me, Póvoa de Varzim is the best place for holidays. 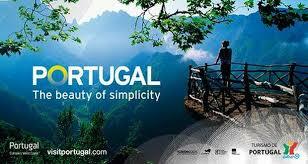 You have to visit Portugal these summer holidays. Portugal is a small country, but many people enjoy spending the holidays there. Portugal has many monuments and places to visit, such as beaches and mountains. The capital is Lisbon but many people spend time at Porto, too. Porto has a popular dish called “Francesinha”. Give it a try if you have the chance, and you´ll be delighted. If you like hot weather and beaches, maybe you want to go to the Algarve. It is a very popular holiday destination, but if you prefer cold weather, we recommend “Serra da Estrela”. And don´t forget the islands Azores and Madeira, these islands are known for their culture and different species of animals and plants. These are the main reasons why Portugal is the best holiday destination, but there are many more. Come and find out for yourself! Get your tickets now, because you won´t regret it.